The plastics and automotive industries are pulling together to solve the crisis caused by a sudden shortage in nylon 12, after a fire earlier this year shut down an Evonik Industries plant that makes cyclododecatriene (CDT), a nylon 12 feedstock. Evonik is reportedly responsible for 40 percent of the supply of nylon 12, used in automotive fuel and brake lines. Other world suppliers of PA 12 are Ube Industries, Arkema, and EMS-Grivory. Major plastics companies, including DuPont, Dow, and BASF, are working with automotive OEM and supplier companies via the Automotive Industry Action Group (AIAG) to identify replacement materials and determine how to accelerate testing. Fuel line testing for substitute materials can span several months, but the AIAG said that world supplies available on April 24 might last only four to six weeks. On May 1, the AIAG held the third in a series of stakeholder meetings to find alternative materials and minimize the impact on supply chains. 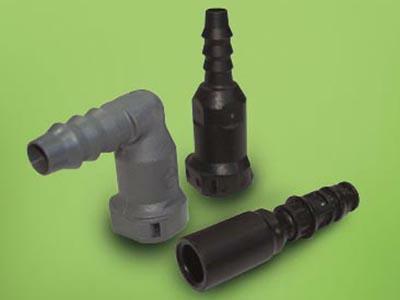 At this meeting, a committee approved an interim design verification plan and report to speed up the testing process for nylon 12 replacements for quick connectors, multi-layer tubing, and assemblies. The document can be downloaded from the group’s Website. Evonik is offering alternatives to nylon 12, also called polyamide (PA) 12. Extrusion and injection molding compounds based on PA 6/10, PA 6/12, PA 10/10, and PA 10/12 will be available in smaller volumes during plant repairs, which are expected to be done by the fourth quarter this year, the company said in a statement. These compounds do not require CDT as a precursor. They are suitable for use in automotive line systems due to technical properties and processability comparable to those of nylon 12. DuPont is working with both industry associations and customers to identify alternative materials that can be used to help manufacture components in fuel and brake systems, Chul Lee, DuPont Performance Polymers’ global business manager for long-chain polyamides, told us. DuPont offers several PA 12 alternatives, including three specialty Zytel nylon families — 6/12, 10/10, and 6/10 — which are based on long-chain polyamide technology. Some of these are already used in fuel line applications, such as Zytel RS 10/10 nylon in Fiat’s bio-diesel fuel lines and Zytel HTN PPA in fuel line quick connectors. Many are based on castor oil from the non-food crop castor plant. Other replacement resins include Hytrel thermoplastic elastomer and Vamac AEM heat- and fluid-resistant elastomers. “The tightness in the PA12 polymer supply actually started more than two years ago, caused by increased demand in photovoltaic solar and oil and gas applications, and customers began asking for replacements,” said Lee. The difficulty and the challenge are that PA 12 may have been used in applications where it didn’t need to be, and where alternatives exist, said Lee. Every application needs to be reviewed on its own to see what’s possible. The vast majority of PA 12 replacements will likely be based on other polyamide chemistries. Other producers of castor-based polyamides include Radici Plastics and Rhodia. 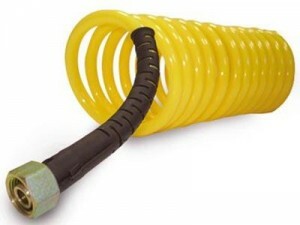 Rhodia is conducting trials of its Technyl eXten PA6.10 product for use in automotive and industrial tubing and flexible hoses, as well as fuel quick connectors, said Alan Dubin, business development and technical service manager, North America, for Rhodia Engineering Plastics, in an interview. Technyl eXten 6/10 grades are available for both extrusion and injection molding, Dubin said. They are especially suited to fittings and adapters for engine fuel systems and flexible tubes for power-assisted control systems. In chemical resistance and mechanical properties for some components, such as quick connectors and other injection-molded parts, as well as in some extrusion-molded applications, these grades may actually perform better than PA 12. PA 6/10 has virtually the same range of operating temperatures as PA 12, with similar results in heat aging characteristics. Making the switch from PA 12 to 6/10 should also result in a substantial cost reduction. Dubin says evaluations of extrusion-molded product performance are ongoing.